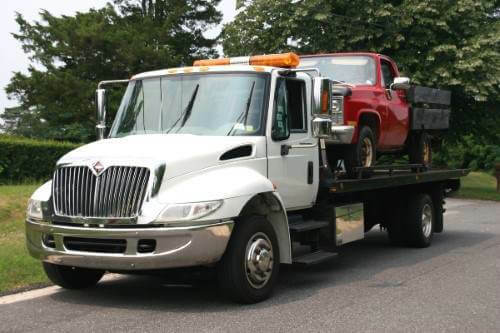 Sandy Springs Towing Service has provided fast and affordable roadside assistance for years. Need a tow or a roadside service? Our rates are extremely competitive and our service speed and quality are the best in the area. Years of working in this industry has given our pro’s countless hours of experience responding to every type of roadside situation you can imagine. In addition to responding to hundreds, if not thousands of calls, our guys have top quality towing equipment to ensure everything goes smoothly. Whether you need a wrecker service or something as simple as a flat tire service or fuel delivery, we can help. Minutes can feel like hours when you’re stranded on the side of the road. And we completely understand how important speed of service is to you. We focus on providing three very specific things to each of our customers. Quality service at great prices with quick response times. Our experienced towing pro’s are deeply familiar with the area and will get you as quickly as possible. The sooner you call us the sooner we’ll be there to get you back on your way. If you’re looking for “tow truck service near me” or towing near me” then it makes sense that you found us. We’re proud to be the top ranked towing service in our Sandy Springs area. Our experienced towing pro’s deliver arrive quickly and provide quality experiences to get you back on your way smoothly, all for an extremely competitive price. We’ve been providing roadside assistance services for years, and are available 24 hours a day rain or shine. Looking for an Impounded Vehicle? Read below! IMPOUNDED VEHICLES: If you’re trying to find information about an impounded vehicle, please call the Sandy Springs Police Department at (770) 730-5600 ASAP. They will be able to supply you any available information. Unfortunately we are completely unable to provide any information at all about any impounded vehicles. PRIVATE LOT TOWING AVAILABLE WITH AGREEMENT: If you need towing for your private lot, just give us a call at 404-800-6501. We require a contract in order to provide this service in our area, so please call any time to set up a quick agreement with us. All that matters to you when you’re wreck is getting back on the road and on the way to wherever you were heading. We’re all busier than ever these days and getting stuck somewhere is the last thing anybody wants. It’s stressful and frustrating. That’s why our roadside assistance services are available at all hours day and night. And we focus on responding as quickly as possible. We want to get there and get you back on the road quickly and smoothly. Doesn’t matter if you’re out of gas and need a fuel delivery or a tow truck rescue. You can count on us to get there quickly and get you moving forward again. We work exclusively with the most qualified and experienced towing service providers in the area in order to virtually guarantee the superb quality of your roadside service. They’ve been in the field for years and have successfully responded to countless calls. You can count on them to handle your situation with a professionalism and skillfulness that only experience can give. Every call is different, every roadside situation is different. Experience is so important because no matter what your situation is, you can bet they’ve seen something like it before and successfully resolved it. It not only saves you time but it can also save you money. Amateur services are twice as likely to be uninsured, and unfortunately more likely to accidentally damage your vehicle during loading or transit. These damages might not be noticeable during or immediately after the tow, and at that point the time and inconvenience of proving it was the amateur’s fault make the whole thing frustrating. When you call us for a service, you’ll be receiving an experienced professional who knows what to do. Every experienced professional relies on tools of some sort, and tow truck operators are no different. Our equipment can make or break our service so it’s really important for a service like ours to maintain our equipment thoroughly so we can provide reliable responses. After all, the last thing you want is to have your roadside service vehicle break down while it’s en route to your location, or to have trouble while assisting you. 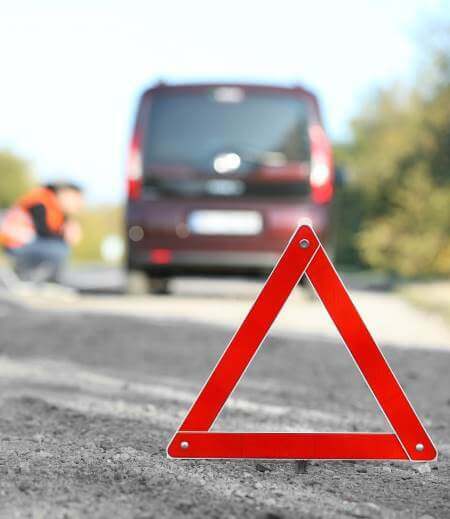 All our vehicles and equipment are carefully maintained to avoid any of these situations. We have some of the best maintained team of tow truck Sandy Springs GA.
We’re not a regional branch or a large corporation. As a local towing company, all our towing drivers are local and know the area as better than most. This helps them arrive even faster when you call. Plus, when you work with us you’re working with a local company that provides people in our community with work and jobs. We live in the city, raise our families here, and spend our money here, so we’re all strengthening our local economy instead of sending money out of it. Not to mention the great prices we can offer by keeping our overhead low and focusing on value. We look at value in our industry in terms of three things: Quality, Speed, and Price. Everybody wants a good deal when shopping for a tow truck service, but the last thing you want is a less than professional service that is going to be super late, never update you, and not do the job correctly. Unfortunately, with bottom of the bucket pricing, that’s often what you get. Then again, nobody wants to spend $500 on a tow a few miles down the road either, no matter how good it is. That’s where we come in. We believe we’re the perfect blend of quality and speed for an extremely competitive price that makes our service hard to beat. And we’re proud to have reached the privileged spot of top ranked towing service in Sandy Springs as our reputation for great value has spread and grown. We’re fast and affordable. Roadside assistance is more than a job. Every call comes in gives us a sense of importance and urgency to get out there and resolve the problem. Despite the fact that we’re out at all hours of the day and night, on holidays, weekends, in the rain, in the snow, and in the heat providing our services, we enjoy a sense of fulfillment and pride in what we do. If you’re having a bad day and you call us, we’re going to do everything we can to make it better. At the end of the day, our work is valuable and important, and even though it’s hard, we enjoy making a difference. Every customer we help is a new opportunity to further strengthen our reputation in our community. Our goal is to do a great job so we’ll earn your repeat business next time you ever need help. If you need a towing Sandy Springs GA, call us right away. Saving $20 on a tow truck service that arrives late, doesn’t update you, and might not be fully insured or trained isn’t something we recommend. The last thing anyone wants while having vehicle trouble or being in a wreck is having to stress about when or if their tow truck driver is ever going to arrive and then worry about the quality of service just to save a few bucks. If you’re stranded, call us at the number below to speak with a live operator. We’ll dispatch an experienced professional right away so you can get on with your day or night! Call any time of the day or night for any type of roadside assistance you need. We’re Fast and Affordable.